Between 80 and 90% of women experience cellulite on their buttocks, thighs, or other areas, but that doesn’t mean you have to live with it. 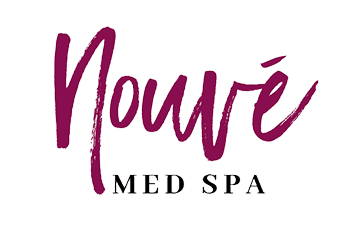 At Nouvé Med Spa in Downey, California, the expert aesthetic team uses the radiofrequency energy of TempSure Envi® to reduce the appearance of cellulite and help you achieve smoother skin. Call the office or book online to learn about this safe, noninvasive, and effective cellulite treatment? Cellulite gives your skin that dimpled, orange peel appearance. Cellulite occurs when fat that’s present just under the skin pushes up against your connective tissue. Even people of a normal weight can have cellulite. Cellulite may become more prominent as you age; changes in your hormones and skin laxity make cellulite more obvious. Cellulite can appear on the thighs, buttocks, arms, and abdomen. How does TempSure Envi treat cellulite? Treating cellulite is a challenge, but the revolutionary energy produced by TempSure Envi offers a novel approach. The team at Nouvé Med Spa applies the energy to the areas of your body affected by cellulite with a specialized wand. The radiofrequency penetrates your top layer of skin to create heat that stimulates the development of collagen deep below your skin’s surface. Collagen is the protein that gives your skin firmness and structure. When you have firmer, more elastic skin, the dimpling of the fat below that forms cellulite has a harder time showing through. What should I expect during a TempSure Envi session? During a TempSure Envi session, you lie on an exam table as the technician applies the energy to the surface of your skin using the specially designed handpiece. Each treatment takes approximately 30 minutes and feels like a pleasant hot stone massage. Most patients tolerate the sessions quite well and describe it as pain-free. How many treatments of TempSure Envi will I need to reduce the appearance of cellulite? The aesthetic team at Nouvé Med Spa can evaluate your particular case of cellulite to help you understand exactly how many treatments you’ll need to get the results your want. Most people benefit from between six and eight treatments. Multiple sessions help provide optimal results for skin tightening and the decreased appearance of cellulite. When will I notice a reduction of cellulite? You’ll notice significant improvements in the appearance of your cellulite after several treatments. You see a tightening of the skin over areas that were treated with TempSure Envi as the underlying fat layer also smooths out. To learn more about TempSure Envi and effective cellulite reduction, call Nouvé Med Spa or book an appointment online.